ArenaNet wants Guild Wars 2 players to give their feedback on what it should work on to improve World vs. World gameplay. To that end, the company has launched a simple poll that will run until May 4, which you can access via the GW2 site or directly with this link. You’ll need a GW2 account to participate. 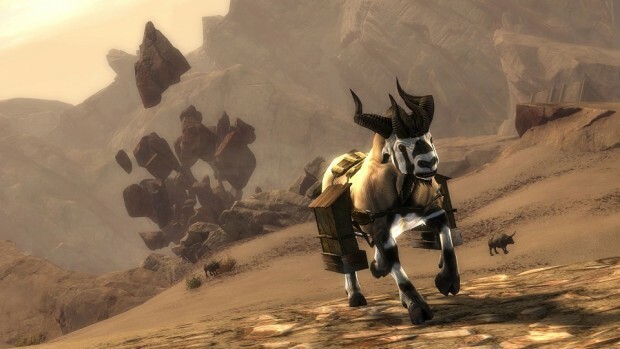 ArenaNet’s come under some fire lately for its perceived lack of attention to community needs, but the recent update has quieted many of the louder dissenters, and offering some say into the development process would seem to be another positive step. Of course, these things take time, so it will probably still be a while before we see the results of the poll transformed into action.